Gonococcal arthritis is the most common acute septic arthritis in sexually active young adults. It is caused by the gram-negative diplococcus Neisseria gonorrhoeae. In 0.5–3% an untreated mucosal infection disseminates throughout the system and affects mostly big joints like the knee, elbows, and ankles. N. gonorrhoeae is a fragile microorganism which is difficult to culture. Penicillin resistance has developed worldwide in recent years, therefore, patients should be treated by a third generation Cephalosporin. 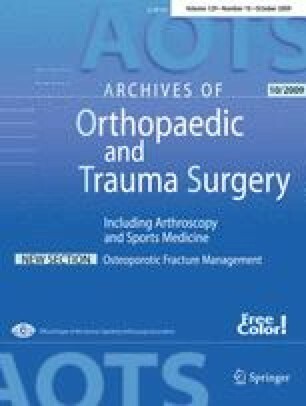 In this article, we describe the unexpected finding of septic arthritis in the proximal interphalangeal joint of a 50-year-old patient. The septic arthritis was caused by N. gonorrhoeae. Susanne B. Thomas and Frank Unglaub contributed equally.